Bark Naturals Calm Remedy is specially designed for dogs in short term stressful situations. It specially helps in storms, travel to new place or fireworks. If your dog is little boisterous, full of energy, and you just need to the calm factor at the same time, Barks Naturals Calm Remedy is the ultimate treatment. The clinically proven formula is made with 100% natural ingredients and mixed under strict quality conditions. The oral treatment aids to treat behavioral issues and keep your dog relaxed and calm. Bark Naturals Calm Remedy solution keeps dogs calm in anxious situations. 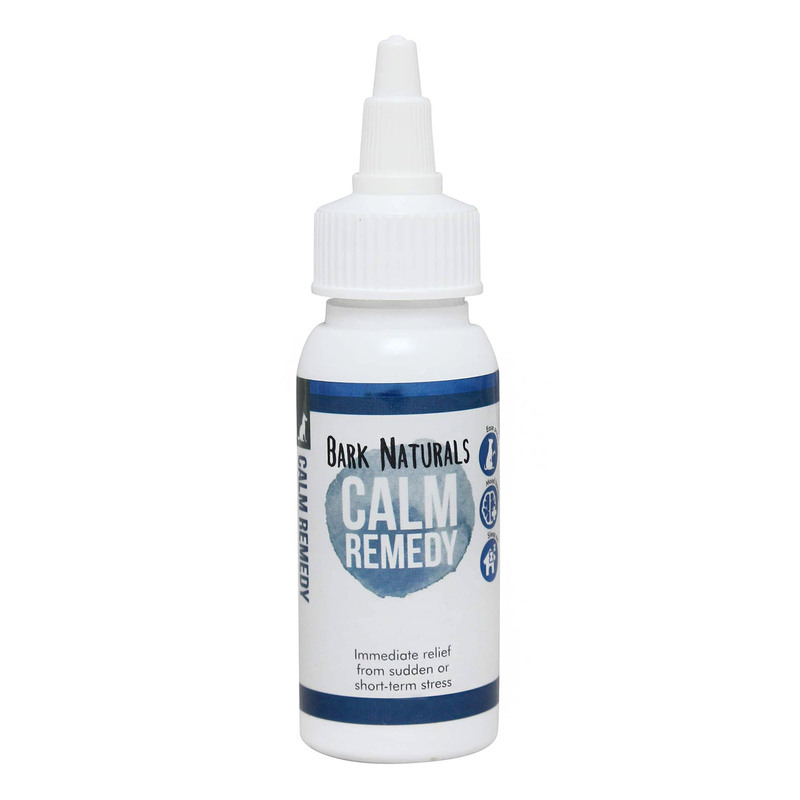 Bark Naturals Calm Remedy is natural formula for treating anxiety in dogs. The oral formulation is derived from natural ingredients. All the ingredients are mixed in precise amounts and are proven to be natural sedative and calming agents. Ashwagandha aids to ease anxiety naturally, Vervain boosts mood, Passionflower and Lavender helps calm the nerves and Zizyphus seed supports the pet fall asleep and reduces insomnia. The liquid formulation is easy to dose with no known side effects. Provide 3 to 5 drops as required during times when the pet is experiencing stress, anxiety or nervousness. Treat every 15 minutes until the desired effect is achieved. Administer on the nose for the fastest absorption rate. Please use proper dosage instructions. No possible side effects of using this product. This formula helps in treating anxiety in my pal. It also helps in calming him down during challenging situations. A must have product if your dog is fiery and barks a lot.